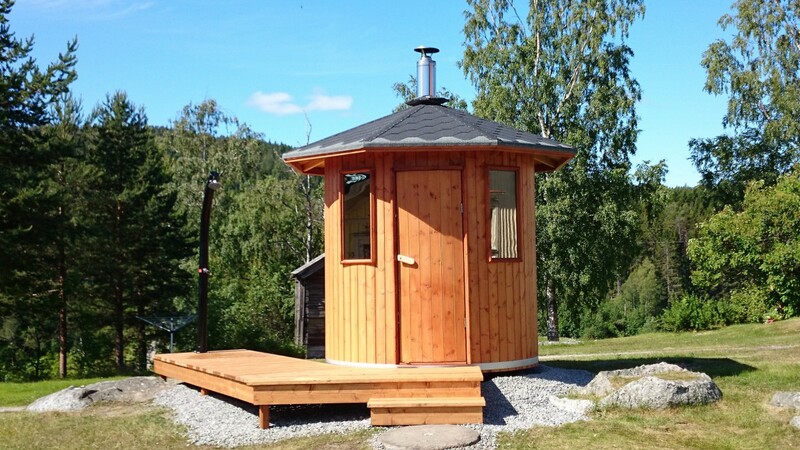 Mikael Höglund has built his dream sauna using LOGOSOL’s knives for hot tubs. 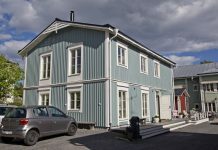 Instead of lying it down, he let the sauna “barrel” stand on end, and this summer the family could inaugurate the cylinder-shaped sauna on their farm. “The basic idea was to build the frame of spruce, but when I visited the Nolia trade show I discovered that many sauna builders use pine, and I thought ‘So be it’. In addition, pine smells so good when you plane and mould it,” says Mikael, who has used his four-sided planer/moulder PH360 for his project. Just in time for the inauguration, the building was completed with a decking, also self-planed. 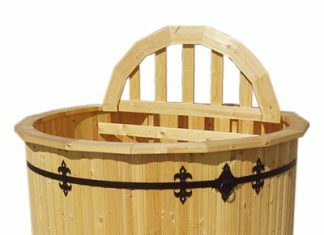 The rounded shape of the sauna is echoed in the elegant furnishing. The backrests are beautifully rounded and the aspen wood gives a smooth surface.